September 16, 2016 (Friday) - We Guildwater Scribes lifted this photograph from the website of Thayer Sarrano, and so should you. Admittedly, we are a little spoiled by the scale and scope of the previous East Coast Tours undertaken by Thayer Sarrano. By this, we mean, of course, East Coast 1.0 (2015), and East Coast 2.0 (2016). As a result of those prior excursions, Thayer's recent run up this same coast was a more modest affair, at least in terms of its duration, but not really in terms of the miles traveled, and certainly not as concerns the importance of the venues themselves, to each of which we extend thanks. Hence, we have dubbed, not at all dismissively, this completed run as East Coast 2.5 (2016). If you include the very last of her four shows at The 5 Spot, constituting part of her August Residency, in Nashville, Tennessee, on August 25th, as well as her appearance at the Wildwood Revival just outside Athens, on August 28th, neither of which are depicted on the poster above, Thayer Sarrano played, across a mere two weeks, a total of 9 shows in 5 different states. On this particular leg, some 2,388 miles were traveled. And some 33 hours and 26 minutes were spent behind the wheel, that is, barring traffic, and gliding gracefully over that lovely row of toll booths along the New Jersey Turnpike. These fresh numbers add further to the totals traveled in the name of this album -- Shaky. Here are the said totals: 12,459 miles on the road, or 17,225 miles when combined with the travails of air travel. This makes for a grand sum of 211 hours and 4 minutes spent in transit alone, on all tours, including Thayer's West Coast 1.0 (2015). This amounts to 8 days and 23 hours of non-stop motion. These figures are about to be upped drastically, as Thayer Sarrano embarks for European Shores, with her first show beginning this very day in London. Accompanying Thayer at different junctures on this tour, including the last show at The 5 Spot, as well as the Wildwood Revival appearance, were the following musicians, listed in alphabetical order: William T. Kissane (drums), Edward "Ted" J. Kuhn, Master of Fine Arts (bass), Rick Lollar (baritone guitar), Zack Milster (bass), Jason Nazary (drums), and Marlon Patton (drums). Kuhn and Nazary accompanied Thayer on all the shows depicted in the poster above. Lollar and Patton jumped in at The 5 Spot. Kissane and Milster went wild at the Revival. Other venues for this East Coast run included: The Station (Charlotte), Slim's Downtown (Raleigh), The Velvet Lounge (Washington, DC), Berlin (New York), The Hopscotch Festival (Raleigh), and Georgia Theatre Rooftop (Athens). September 10, 2016 (Saturday) - Thayer Sarrano plays the Rooftop of the Georgia Theatre in Athens, Georgia. Her show is part of this evening's broader festivities, which includes, of course, the main event: Television. Tonight, Thayer Sarrano is joined, as far as we know, by Ted Kuhn (bass), and Jason Nazary (drums). This trio of musicians is readying themselves for their upcoming travels to Europe, with shows beginning next week on September 16th, at the Moth Club in London, England. Thayer Sarrano last played the Rooftop of the Georgia Theatre in July of this year. 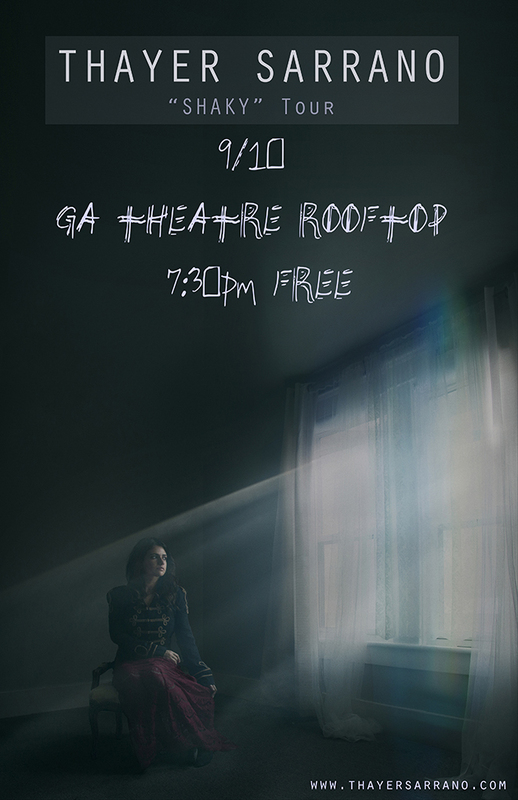 September 09, 2016 (Friday) - Thayer Sarrano returns to Raleigh, North Carolina, where her matinée performance is slated -- for 4:45 pm, precisely -- at the Boxcar Bar + Arcade. This show is part of the broader Hopscotch Music Festival, sponsored by the good people of Stereofly Magazine, in conjunction with Free Times, the Jam Room Recording Studio, and 10 Foot Woody Records. Thayer's bandmates today include cohorts Ted Kuhn (bass) and Jason Nazary (drums). 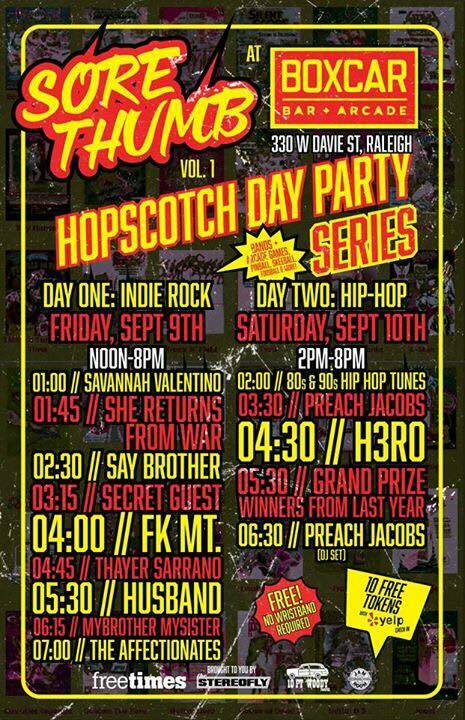 Other acts participating in this "Indie Rock" incarnation of the Hopscotch -- tomorrow is the "Hip-Hop" version of the event -- are, listed in order of appearance, with events beginning at 1 pm: Savannah Valentino (Richmond, Virginia), She Returns From War (Charleston, South Carolina), Say Brother (Columbia, South Carolina), Secret Guest (Charleston), fk mt. (Columbia), Thayer Sarrano, Husband (Lexington, South Carolina), My Brother My Sister (Columbia), and The Affectionates (Durham, North Carolina). Thayer performed just recently as part of a show at Slim's Downtown with these same Affectionates. September 04, 2016 (Sunday) - Thayer Sarrano arrives in New York, to play Berlin -- a club so underground and hep to the jive (like Cab Calloway) that it doesn't even need a website or Facebook page to have its name whispered in rock circles. Berlin is located at 25 Avenue A, in the East Village / Bowery District of the city. This basement club -- Berlin -- is situated less than a half-mile from the original, but now defunct CBGB & OMFUG (Country, Bluegrass, Blues, and Other Music for Uplifting Gormandizers) -- or CBGBs, for short. In its heyday, CBGBs was the veritable maternity ward of punk and new wave music across the 1970s and 1980s, featuring acts such as The Ramones, Patti Smith, Blondie, Television, and many others. This stroll around the block, this seeming digression on our part, is not really one at all, considering that, as punctuation to this East Coast run, Thayer Sarrano will, on September 10th, play the Rooftop of the Georgia Theatre, which will also, that very same night, host -- who else but? -- Television on the main stage, thereby completing this tour circuit, historically and otherwise. Returning to the everlasting present, and performing this evening at Berlin, as part of the Thayer Sarrano Experience, are two increasingly familiar accomplices: Ted Kuhn (bass), and Jason Nazary (drums). This Thayer Triumvirate is honing its chops, readying themselves for their upcoming venture to Europe, beginning not long from now, on September 16th, at the Moth Club in London, England. Heaven's Jail joins in the festivities unfurling on Berlin's stage this evening. This New York-based rock outfit recently released in May of this year its fourth album -- Widow's Work. Previous sonic adventures include: The Heaven's Jail Band (2011), Angelmaker (2012), and Ace Called Zero (2014), all of which can be found on their Bandcamp page. 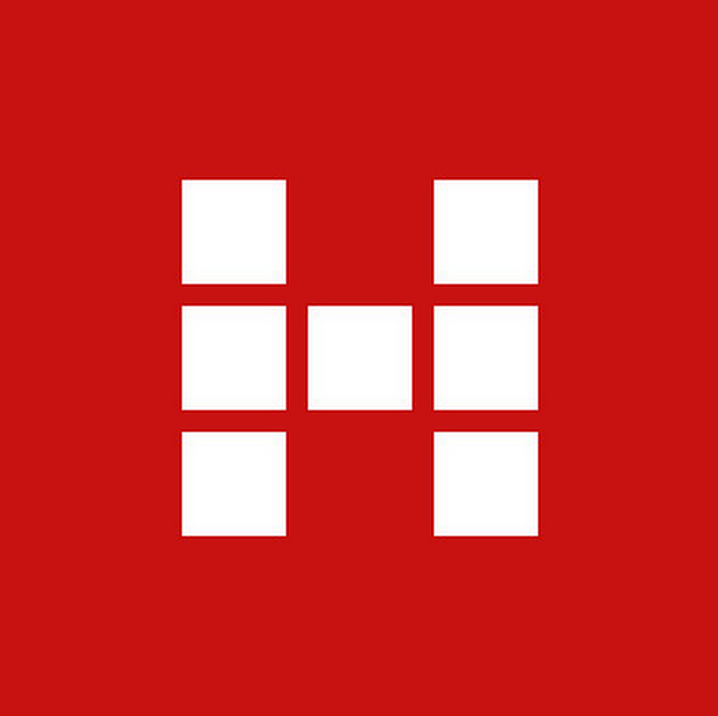 You should also consider the YouTube Channel of Heaven's Jail, where you will find video work emanating from Guildwater's artistic co-conspirators over at Curtis Wayne Millard Studio: "Long Island Sound," "Suicide," and "Widow's Work." 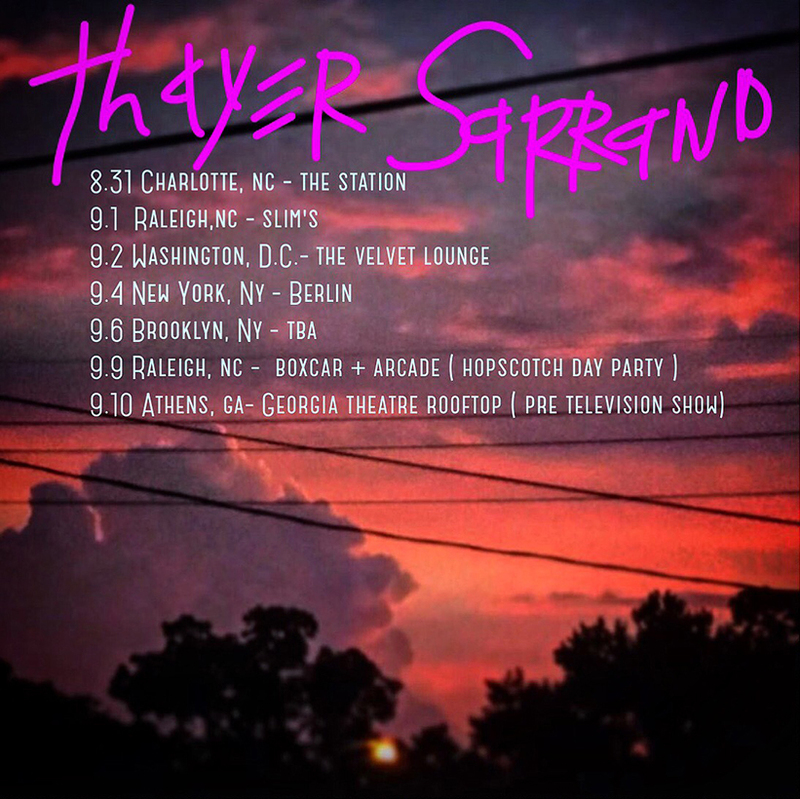 CWM Studio is responsible for the green-hued Thayer Sarrano venue poster found up above, and Thayer's forthcoming "Thieves" music video, due out later this year. Thayer Sarrano last traveled to the New York region in March of 2016, when she played the Music Hall of Williamsburg, in Brooklyn, in support of the Drive-By Truckers (DBTs). That same month, and opening again for the DBTs, Thayer played The Haunt in Ithaca. Both shows were part of the Shaky East Coast Tour 2.0. Foraging more deeply into the Guildwater Scriptorium, dusty parchments reveal more Sarrano activities in the greater New York area, from the Shaky East Coast Tour 1.0, across October of last year. Said activities include: the Rockwood Music Hall, Tiny Montgomery, and Fat Baby's. This last gig figured in the broader CMJ Music Marathon Showcase of 2015. 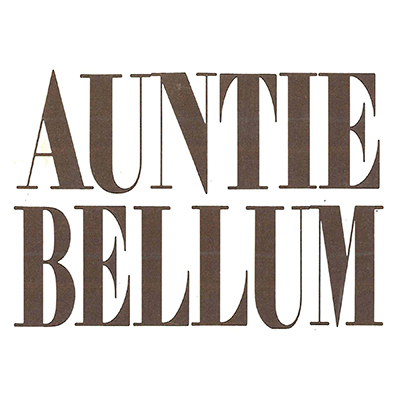 September 04, 2016 (Sunday) - Many thanks to Meeghan Kane, the editor-in-chief responsible for selecting and compiling The Weekend Mix #14, which appeared in Auntie Bellum. This Mix #14 included the song "A Quiet State of Panic," from the album -- Shaky -- by Thayer Sarrano. 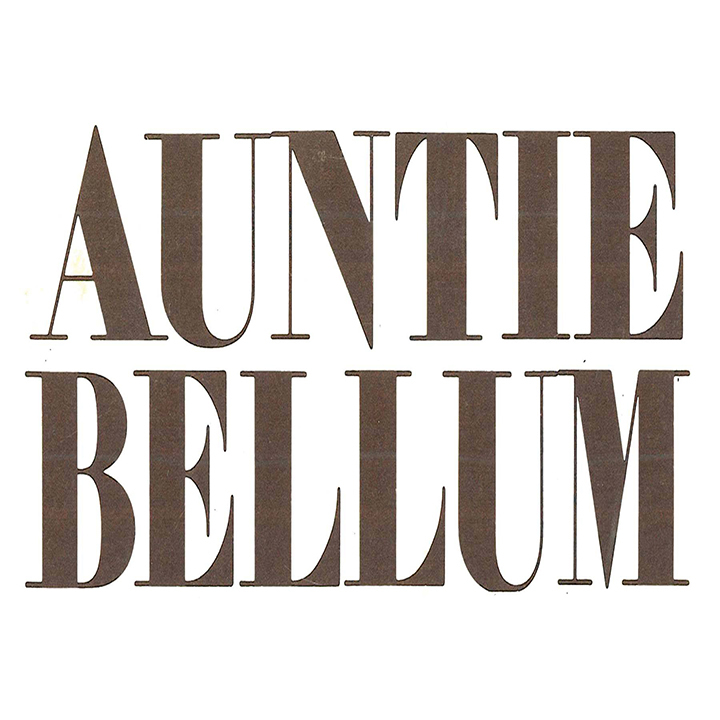 Auntie Bellum is based in Columbia, South Carolina. 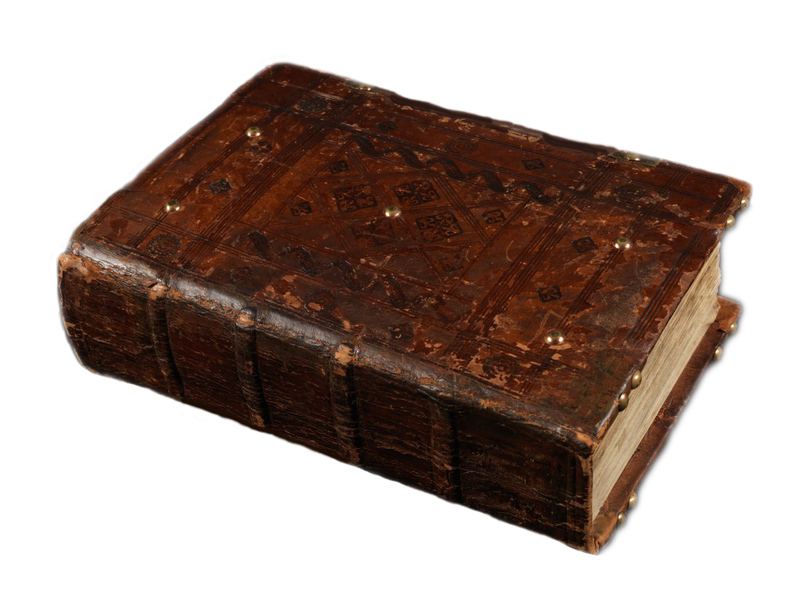 The journal was originally established over 30 years ago. In its very first issue, the editors wrote: "Women here have lacked some necessary tools for examining what experiences they have in common with those of other women." That "rekindled" vision still holds true. The paper's masthead qualifies the enterprise as "an honest, unapologetic voice for Southern women." 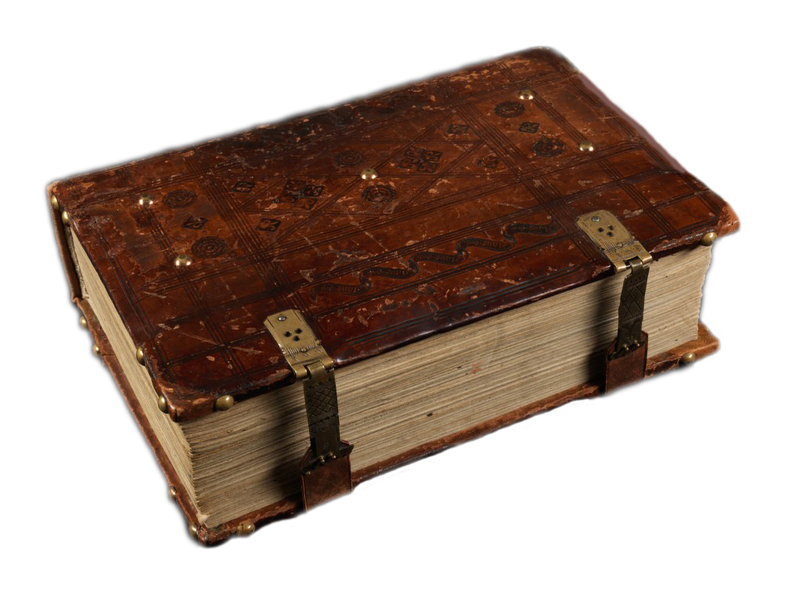 We Guildwater Scribes salute these noble intentions, and appreciate the fact that the voice of Thayer Sarrano found a place therein. We extend thanks to Meeghan Kane and Auntie Bellum for spreading word and tale of Thayer's music, and her latest studio album -- Shaky. Thayer Sarrano - "Lost Art"